What is Workers Compensation in Georgia? Today in Georgia, most claims over work injuries are handled through workers’ compensation. Workers’ compensation laws create a system for recovering monetary damages that usually works outside of the courts. The Georgia workers’ compensation system has many special rules that set workplace injuries apart from other types of personal injuries. Workers’ compensation provides very important protection for workers and was designed to address the serious public health problem that existed when people got hurt at work but had no way to pay their medical bills or support themselves and their families. 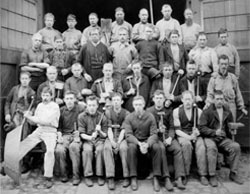 The first workers’ compensation system was created in Germany in 1884. England followed Germany’s lead and created its own workers’ compensation system in 1897. It was not until the 1900s that these types of worker protection laws first went into effect in the United States. It was the Progressive Movement in the U.S. that advocated workers’ compensation laws. This occurred with the political backing of President Teddy Roosevelt. The National Civic Federation as well as other workers’ protection and progressive groups were chiefly responsible for getting workers’ compensation laws passed throughout the country. Workers’ compensation laws were passed on a state-by-state basis, so different states adopted them at different times. The majority of states began to implement workers’ compensation systems between 1911 and 1920. Many Southern states were slower to adopt these laws, including Georgia. Georgia was the 42nd of the 50 states to pass workers’ compensation laws. The laws were adopted in 1920 and codified in Title 34, Chapter 9 of the Official Annotated Code of Georgia. Georgia ultimately passed workers’ compensation laws in response to pressure from the Georgia Federation of Labor as well as from the National Civic Federation. The first commissioner of commerce and labor in Georgia, H.M. Stanley, was also instrumental in getting workers’ compensation legislation passed. Why did Georgia Pass Workers’ Compensation Laws? Under traditional personal injury rules, an injured worker would have to sue an employer to recover compensation. A worker had to prove that the employer was negligent (did something wrong). Many work injuries occur not because of negligence on the part of the employer, but because of accidents or because the worksite is a dangerous place. Employers were able to defend themselves based on the assumption of the risk. Employers could argue that a worker accepted the hazards common to a particular job, such as when a window washer falls off of tall scaffolding. The fellow servant rule prevented employees from making claims against their employers when fellow co-workers were to blame for causing the injury. Suing a fellow employee would also be ineffective in these cases because workers generally had little money to pay damages and were not insured to cover these types of incidents. Contributory negligence rules stated that a worker who was even partially responsible for being injured would be unable to obtain compensation from employers. All of these hurdles meant that workers were rarely able to win cases to recover compensation after a work injury, leaving workers with no ability to pay their medical bill or support themselves and their families while they were unable to work. Employers, too, were at risk under the traditional liability system. When a worker did manage to win a case, the employer faced the prospect of paying a large award to the injured worker. The problems of injured workers in Georgia became worse as a result of the rise of cotton manufacturing, which led to frequent litigation by injured textile workers. Georgia, like all other states, finally adopted workers’ compensation legislation to provide a better solution. Under Georgia’s workers’ compensation laws, most employers must buy insurance to cover employees. All employers with three or more employees must have this type of insurance unless they can show that they are self-insured. The insurance covers virtually all injuries that occur on the job, regardless of fault or negligence. However, employers are protected from large judgments, and benefits are also limited so that it is affordable for an insurance company to provide coverage. Workers are entitled to payment of all medical bills as well as disability benefits as set by statute if they are unable to work. There is no compensation available for pain and suffering and no punitive damages are available. The law reflects a compromise between the interests of employers and those of employees. It also provides workers with important protections, provided insurers pay as they are supposed to. If your employer or your employer’s insurer is unfairly refusing to pay the workers’ compensation benefits you deserve, you need to speak with a workplace injury lawyer. What Injured Workers Should do if They Disagree With the Company Doctor? Workers Comp. Vs. Disability: What's the difference in Atlanta?